Situated between India and Tibet, Bhutan is a landlocked country with limited access points. That brings to mind the question of how to reach Bhutan in the shortest, fastest way and what the available options are. The Kingdom of Bhutan is spread across the eastern Himalayas, and the popular way to travel in the country is via the winding mountain roads. However, there is more there is more than way to reach Bhutan. You could fly to Bhutan or travel to Bhutan by road. Paro is the international airport of Bhutan. Regular flights operate between Paro and Delhi and Kolkata. If you are traveling to Bhutan from Nepal, you can avail of direct flights to Paro from Kathmandu, the capital of Nepal. 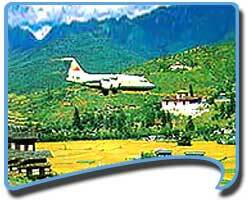 All flights to Bhutan are operated by Druk Air, which is the national carrier of Bhutan. Paro is a scenic valley-town of gurgling streams, quaint houses and old monasteries, hemmed in by the Himalayas. It is just a 2-hour drive from Thimpu. Car rentals and government bus services are available for the journey from Paro to Thimpu. 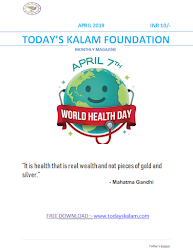 There is no rail network within the country and travelers can gain access to Bhutan by means of road transport – buses, private cars, which are authorized by the government of Bhutan. All parts of Bhutan are well-connected by a network of roads. If you are planning to reach Bhutan from India, the point of entry is the border town of Jaigaon. It is about 150 kms from Siliguri, the furthest that you can get near Bhutan by rail. A stately gate separates the Indian town of Jaigaon from the Bhutanese town of Phunsoling. Cars are available for hire from Siliguri to Jaigaon. You can book the very same car to take you to Bhutan or on reaching Jaigaon, get in touch with local tour operators to book a car for your tour to Bhutan and back.